Energiekontor’s Rotor Blade Extension has been at multiple international Wind Power Events, conferences and fairs. The RBE was present at the HUSUM Wind Congress 2015, between the 15th and 18th September of 2015, at the NordseeCongressCentrum. “For the last 25 years HUSUM Wind has been the leading biennial trade fair for the wind industry.” In the official website of the HUSUM Wind 2015, manufacturers and suppliers, operators, project developers and service providers, utility companies, municipalities and investors from all parts of the world were invited to join the event “to learn about energy transition and wind power in action – with a special practical and market orientation – in an environment full of pioneering spirit and innovative power”. Experience the shift to renewable energy first-hand and help shape the energy future – was the claim made by HUSUM Wind. HUSUM Wind is well known as the traditional industry meeting place that guarantees an intensive discussion of current topics related to renewable energy. The event offered an ambitious programme with press conferences, forums, workshops, excursions, panel discussions and seminars. New technology, maintenance, new tendering models and direct marketing were just a few of the topics that will be focused in Husum. 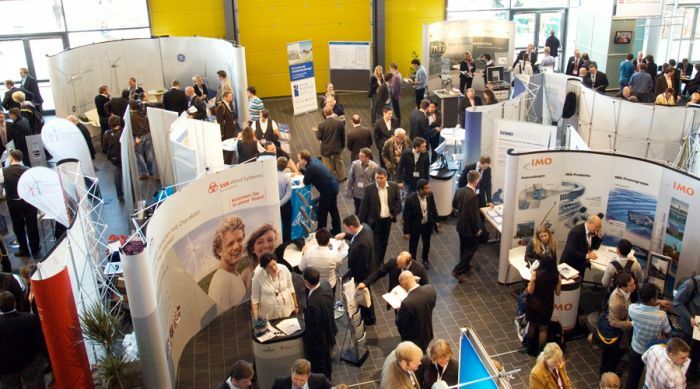 The wind industry came together in the NordseeCongressCentrum and the five adjoining halls. More than 600 exhibitors from 25 nations showed their products and services over an area of 25,000 square metres. In addition to the key players and the visitors (around 20 000), could enjoy the presence of many young and innovative enterprises that presented their products and services. The exhibitors represented the whole supply chain for the onshore and offshore wind sector. RBE was present at HUSUM Wind Congress 2015 at Booth 2D15 – Energiekontor AG. If you or your company would like to meet the RBE team and understand how to improve productivity at a wind farm, please contact us or send us an email to energiekontor@rotorbladeextension.com.